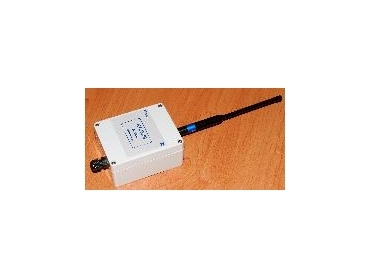 Orbit Communications has released Wireless RTU208 pulse transmitter. The RTU208 is a wireless transmitter unit that has been designed to provide a reliable and cost effective wireless control/monitoring link in today’s busy radio environment. Utilising proven RF technology, the RTU208 wireless transmitter yields a flexible solution for wireless applications coupled with a fast route to market. The RTU208 wireless transmitter units can be provided with custom software to enable multiple remote stations or a network of devices. The transmitter unit can be supplied with 1 to 8 function buttons and an optional potentiometer for variable control. Each of the 1-8 function buttons can be custom labelled as per your requirements. When used in conjunction with the RTU204A wireless IO unit, a simple 4 digital channel + 1 analogue control channel can be realised. The RTU208 transmitter can be programmed to activate relays momentarily, timed on/off, toggle action etc. Also custom switching requirements such as dual relay control for each button. The RTU208 wireless transmitter has a typical range up to 1km and is powered by 4 x AAA batteries for long life. Suitable for applications such as remote machine control, start/stop operations, remote speed control, gate control etc. The pulse transmitter can be used to measure speed, accumulate pulses from water flow meters etc and act as simple static on/off control from an alarm system or low float level in a tank.